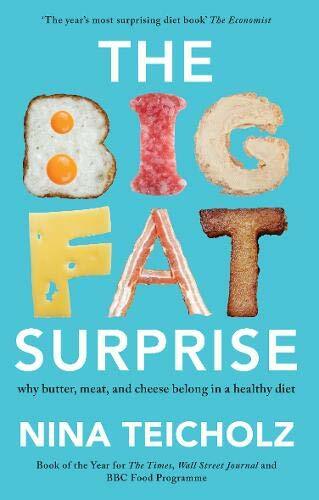 A groundbreaking study that reveals how decades of misleading science and policy unjustly demonized the high-fat diet, which might actually be our healthiest option. For the past 60 years we have been told that a low-fat diet can protect against obesity, diabetes, and heart disease. 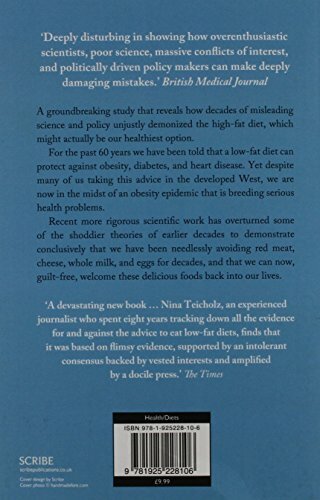 Yet despite many of us taking this advice in the developed West, we are now in the midst of an obesity epidemic that is breeding serious health problems., Recent more rigorous scientific work has overturned some of the shoddier theories of earlier decades to demonstrate conclusively that we have been needlessly avoiding red meat, cheese, whole milk, and eggs for decades, and that we can now, guilt-free, welcome these delicious foods back into our lives.